Stokes Tea & Coffee has set an opening date for its new coffee shop and roastery at The Lawn in Lincoln. The new café that will seat 60 people inside, and more in the courtyard terrace, is on track to open its doors at the beginning of June. The Lincoln coffee company’s £1.5 million refurbishment project at the Grade II listed site is well underway, including a restaurant, theatre, function rooms, barista training centre and spa area. Plans were approved in April 2016. Managing director of Stokes Tea & Coffee Nick Peel said: “I am delighted the regeneration of The Lawn is progressing as planned, and cannot wait to unveil our new coffee shop and roastery. Customers can look forward to artisan coffees and speciality teas as well as a range of home-made savoury snacks and meals, followed by a range of desserts. Once completed, both the café and theatre will be available for private hire and functions such as conferences and weddings, which can be held within the walls of the iconic construction. In addition, there are plans for a viewing room for customers to see the process of turning coffee bean to cappuccino, and a wellbeing centre, where people can book spa treatments. The refurbishment of Lincoln’s former psychiatric hospital also includes recently completed car parking spaces and new landscaping. Nick added: “The opening of the café will just be the beginning of many exciting plans for The Lawn. 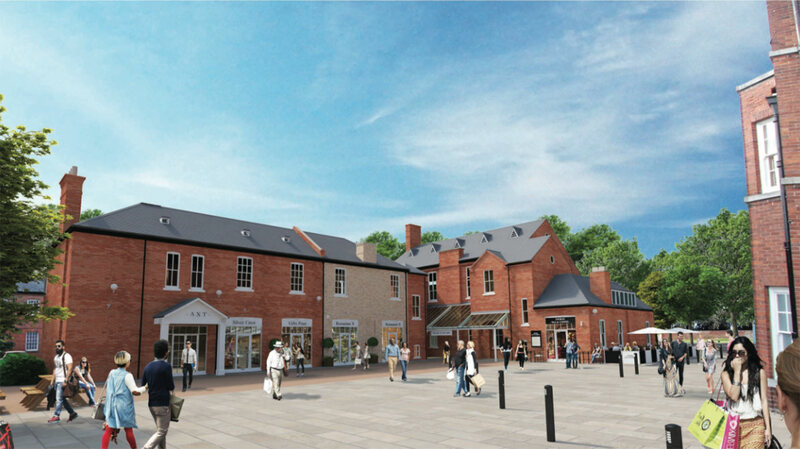 “It will be a hive of activity and hub of the community once complete – something that is very important for Stokes that has been operating within Lincoln since it was founded 115 years ago.